James, Graham, and Cameron give you the rundown on the Magic shenanigans at PAX Prime 2015, from the giant Eldrazi to the BfZ preview show. I think Charm Lands is a great name for them. I shall start using it until you tell me otherwise. I do like charm or base lands for the new nickname. As to what was announced during PAX, I look forward to buying tons of packs of BFZ and never once getting an expedition. I do wish they had really committed to the "full-art" aspect though, as having a 70% opacity textbox still really gets in the way. EDIT: Oooh, just thought of another possible nickname (I know that's hardly what is needed, but it could actually work): Bunt lands, because you've got two on-base! I like Charm lands, but Tango lands seems to be gaining momentum online, and at the end of the day, usage will define it. Charm seems infinitely better than Tango to me. They both have the issue of people not understanding the phrase, but Charm both sounds better and at least makes sense given what the phrase actually means. Battle is solid mostly just because it's really the simplest, and given no great alternatives it might be best to just go for simplicity. An option I like mostly just because of how it sounds but probably is too far of a walk for the explanation is Lotus Lands, given that you'll have 3 mana when you play them untapped. Ultimately I think I'm on either Charm or Battle, just please no Tango. Oh, also, I completely disagree with Graham's assessment of Tango. I think it's just fine. It takes two to X, where X is "tango" or "have this land come into play untapped". The main point is the phrase "It takes two", focussing on the "two", and the lands say "two" on them. It reflects the mechanics well. If they were worded "Enters the battlefield tapped unless you control 3 lands, 2 of which are basic lands", then all the 3 ones would make sense. Charm is a fine name for them, but I don't think it's as obvious, and I don't think it's better than Tango. And basically any idiomatic phrase will have the same problem regarding and international audience. Well I've been calling them splash lands cause they are good for splashing colors. Charm is good to. First Video: 1st Commodore Hustle about magic? I'd like to propose calling them Guiness lands, but I understand that the reason might not be immediately obvious to everyone for the same reason as the 'discount double check'. 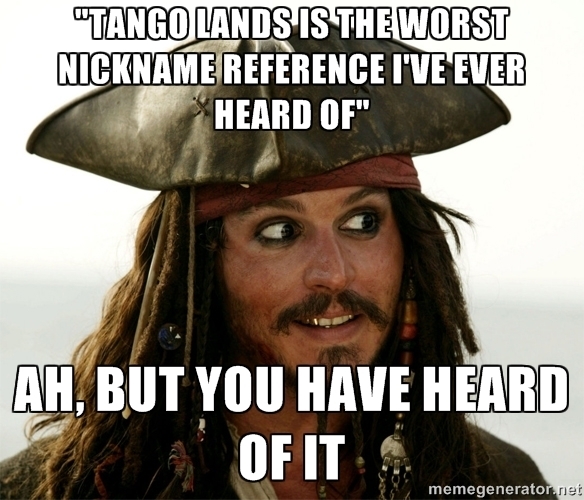 I prefer laglands. It rolls of the tongue a lot better than the other nicknames. First Video: umm something from enn or unskipable? Tango linguistically is no worse than calling a deck bant. I say this as someone who has to look up wedges or shards or whatever the heck they are every time they come up on the podcast. Lazy and willing to work very hard to stay that way. Bronze lands. Riffing on Turn 3 being 3rd place. I think you have to reference 3rd turn somehow if you want a 1 word antecedent. Hands up lands. Second base. I think I'm going with charm lands. Needs to be a single syllable, not just one word. I came up Santa Lands, then finished watching the this... disappointed. I'm tossing my vote for Charm lands. "Third turn's the charm." I like charm lands the best of the ones mentioned. Well, actually I liked VectorZero's "Roadie Lands" best but I doubt it will catch on. First Video: I have no idea, but I probably liked it. "Charm lands" is a pretty good name. I think "Zen lands" could work as well. They're from Zendikar (duh), and they require some amount of patience if you want to use them right away. Gotta wait for those basics to be out, gotta be zen. @Korvys, we know _why_ they're called Tango lands. The point is that even if you explain it to someone who doesn't know the usage, it still gets confusing and doesn't make sense to them. The entire point behind that saying, is that there are more than one, but less than three. If you look at tango lands from either a creative or mechanical point of view, it has a massive failing. "More than one but less than three" perfect describes the requirement for the new lands. All of the options than need 3 (Charms, Crowd, etc) immediately fall apart if you play it on turn 4. Or at least, become more convoluted than Tango anyway. Plus, to me, anyway, they all imply 3 of the same thing, which 2 basics and 1 of these is not. I predict that Tangos will win. Not because it's the best, but because people are talking about it. Even the people who hate it have to refer to it to say they hate it. Here's a bad meme I made to illustrate my point. Graham, James, I have it! I think the takeaway from this argument is that any nickname that is a riff on a specific number shouldn't be used, as it only makes people argue about whether it makes sense. Therefore any nickname should avoid referencing any specific number. I propose "laglands".